In my opinion snakewhips are not much of a whip, because of the absence of a solid handle. 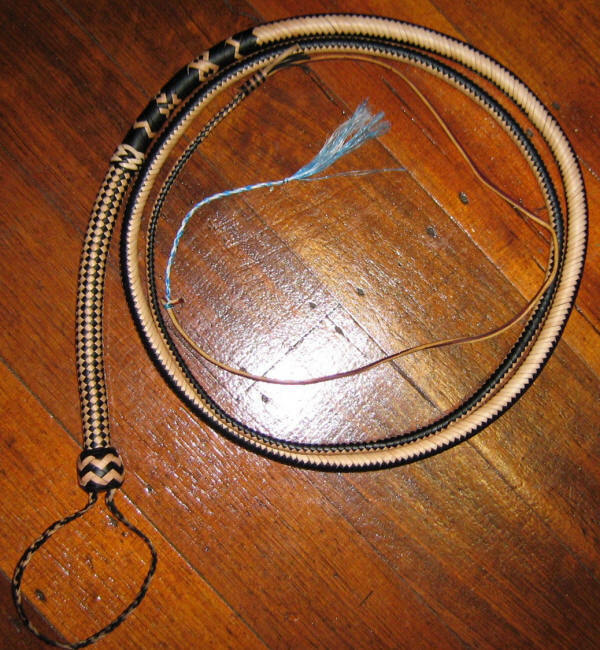 For a similar whip the bullwhip is far superior. 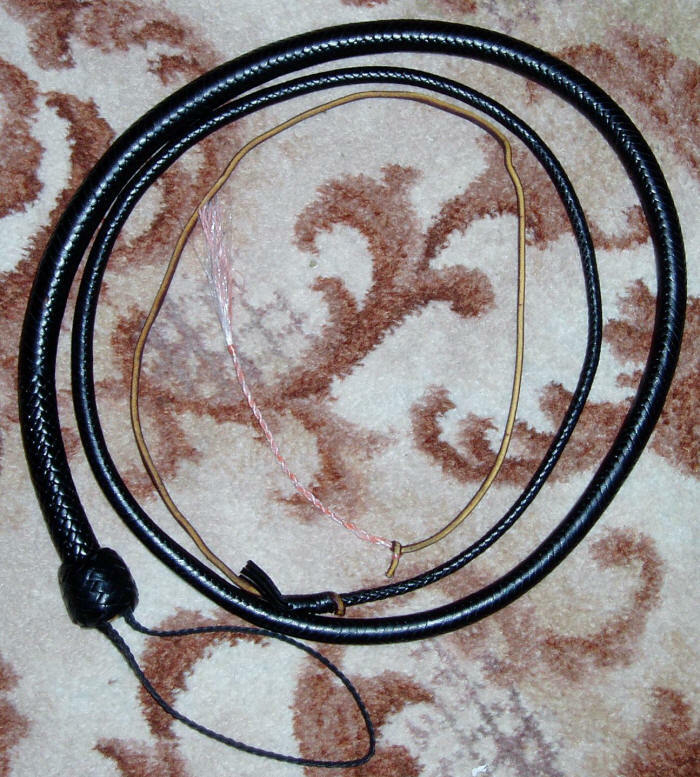 The snakewhips are made with a leather shot bag, a bolster, then an plaited belly, another bolster and then over all this the overlay is plaited. Each whip comes with a spare fall, 5 extra crackers and a container of leather dressing. A personally signed (by me), laminated certificate is an extra cost of $10.00. Two tone is an extra $40.00. Initials can be plaited in the two tone whips at no extra cost. I can make any length whip and amount of strands you want. Just get in touch with me and I will give you a price if it is not here. 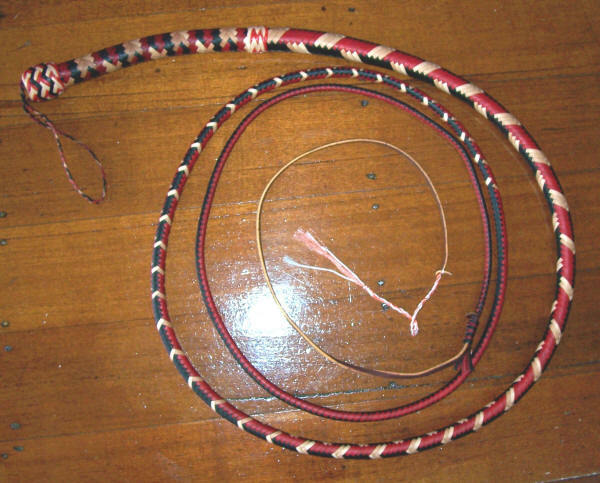 Each whip comes with a spare fall, 5 extra crackers and a container of leather dressing. For other sizes and plaits feel free to contact me for a price. WARNING: DO take care when cracking your whip, make sure there is no one near you. When a whip cracks the tip is travelling at over 1400 feet per second. That is faster than the speed of sound and in some cases faster than a bullet. If your whip hits anything or anyone when it cracks it is quite capable of cutting flesh and breaking bones. So DO be careful.